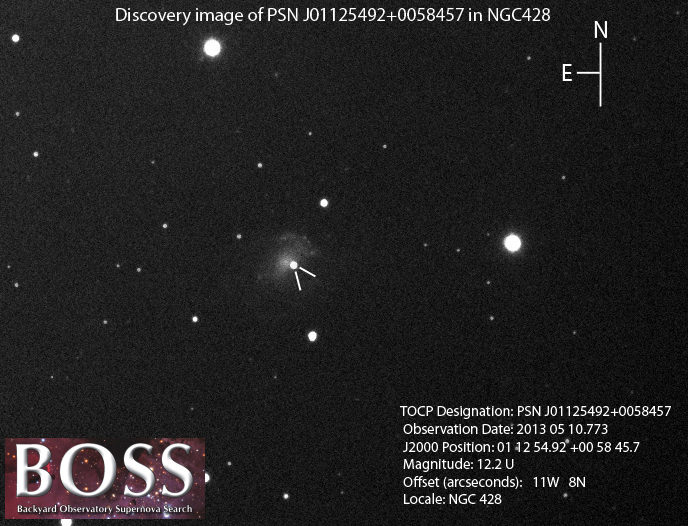 This page is devoted to information on Supernova 2013ct in NGC 428. 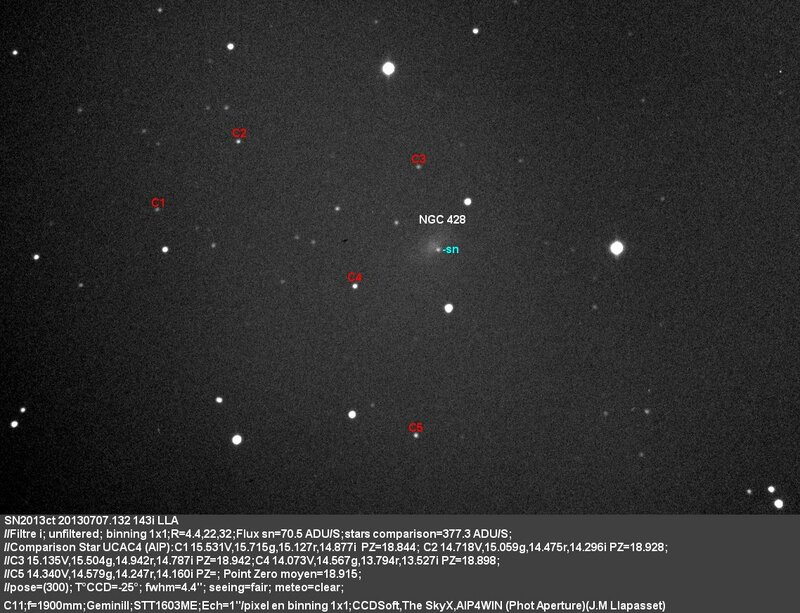 Basic information on this SN, including the last reported brightness, on this Supernova can be found on the main page. Information on the original web pages for many of these images can be found on the links web page. 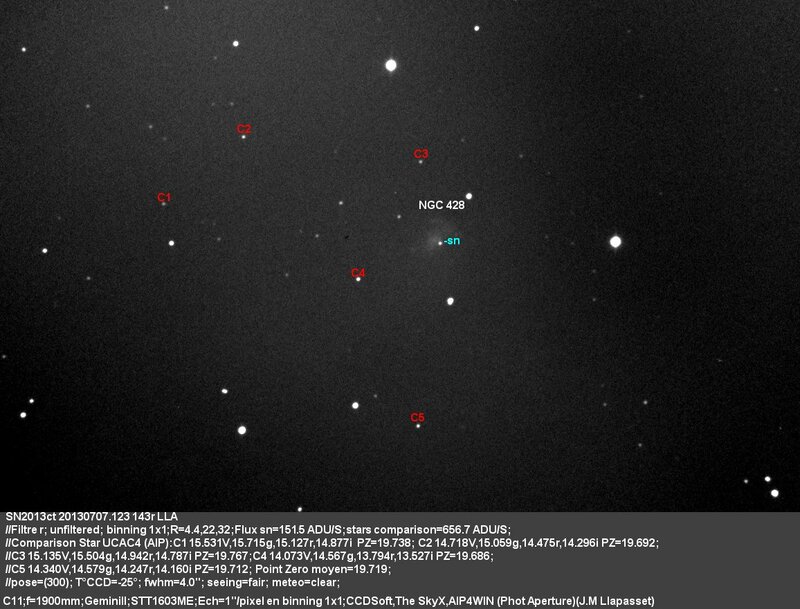 Discovered by Stu Parker (BOSS) (New Zeland). This one is a Type Ia (z=0.003843). 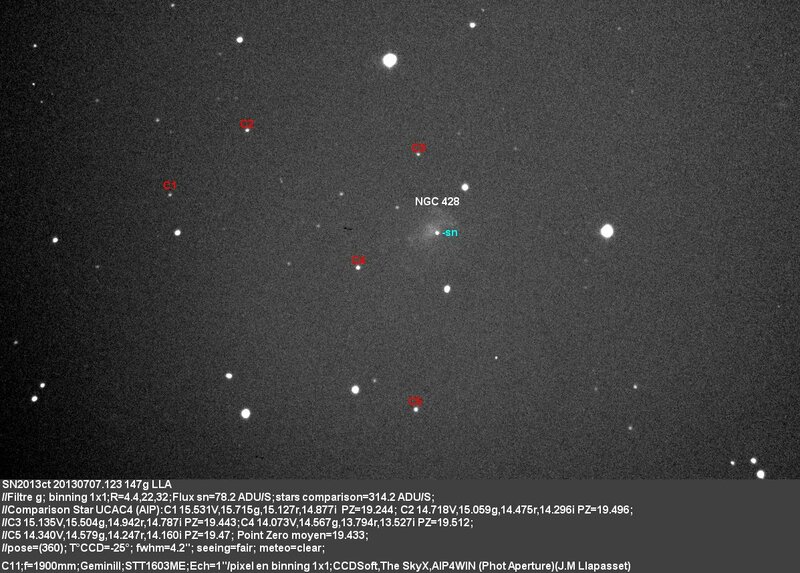 LOSS also reported a discovery of this object, two months after the initial discovery. 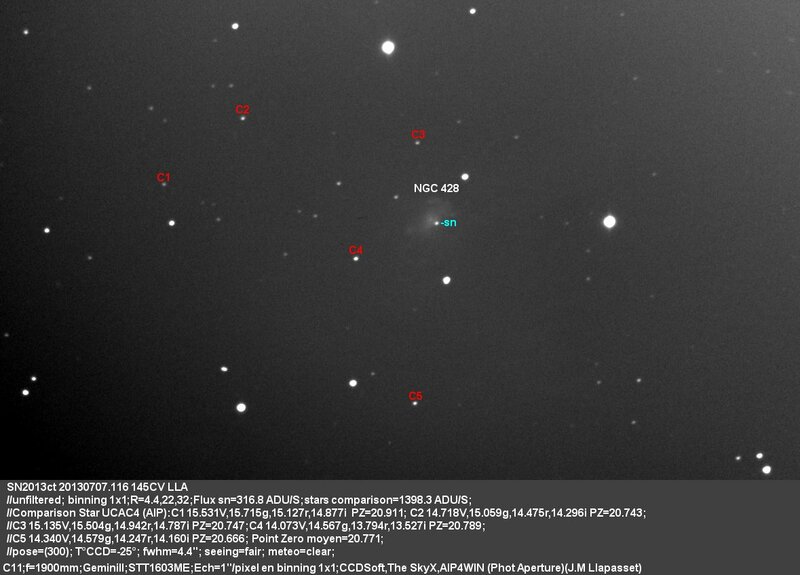 This supernova is in the Constellation Cetus.